Below, you'll find information that will help you get to know us better - from awards and credentials we've achieved, to references from past clients. We consider the satisfaction of our clients to be my greatest achievement, and take pride in my high volume of repeat business and referrals. Just a note to say Thank~you, and you are awesome! You really do your business proud. You treat your clients with respect and have so much integrity. We are delighted with the great service and attention to detail you’ve provided as you guided us through several home sale and purchase transactions since we first worked with you in 2005. You are “connected” and “caring”—two great professional and personal attributes that give us peace of mind when our large investment is in play. A heartfelt thank-you to you both! 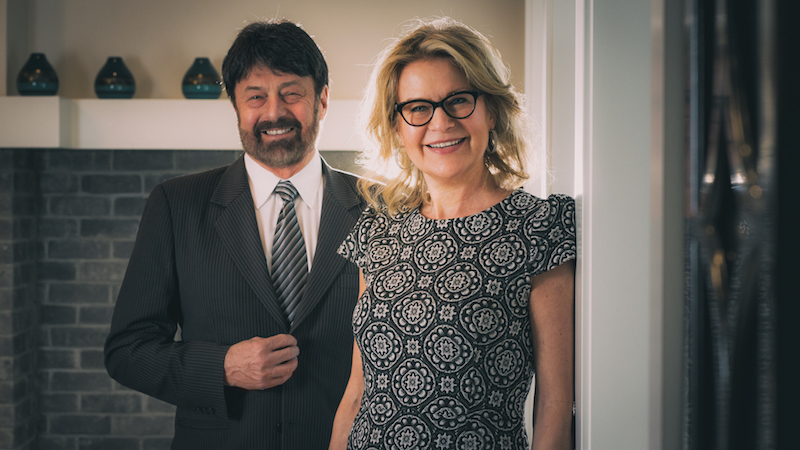 We have dealt with Steve & Blondie over the years both personally & in business. We are repeat customers simply because they always strive for and consistently achieve excellence via their supreme knowledge of the business along with their diligent follow through and efficiency involved when completing a transaction. For that we are appreciative! Steve, Here's just a note to say a very big THANK YOU for all the work you did for us. Everything was explained so clearly and made the sale of our house, plus the buying of our new home very easy. You'll be highly recommended to all our friends! Blondie sold my home at -- , Abbotsford, BC. She has a remarkable ability in putting you at ease, yet portraying a very trustworthy, business like manner. I would highly recommend her to anyone wanting to sell their home. We've known Steve and Blondie for over 10 years. We met when looking for a realtor to sell our property in --.That was in 1988. Steve and Blondie were quite remarkable. We were astonished at how hard they worked to bring us the value we sought. We found Steve and Blondie to be true agents with only our welfare in mind. They were tireless and always successful on our behalf. We've never, and would never, let anyone else handle our personal property sales. What we valued the most in them was their accessibility, their honesty, and their commitment to us as customers. So comfortable are we with them, as our team, we've let no one else handle our affairs in our three subsequent purchases...it is impossible to pen the great regard we hold for these two as our Estate Agents, and because of their genuine care, our friends. We chose Blondie as our agent because my parents had purchased a home through her eleven years earlier and were quite pleased with her personable and professional attitude. As first time home buyers we were unaware of many of the procedures of buying a home. Blondie made sure to keep us informed of anything and everthing we needed to know, and always promptly took care of any concerns we might have had. We found that she has an exceptional knack for taking care of things quickly yet maintaining a level of patience, almost unheard of nowadays...In our opinion, Blondie is the opitomy of what every realtor should be: helpful, trustworthy, and down-to-earth...She'll be the first one we call when we're ready to move on to bigger and better pastures. Thanks again Blondie! My thanks to Steve for his outstanding efforts in unsnaring the tangle of "red tape" and loose ends in the sale and purchase of my home. Thanks to him for his persistance and expertise; and more importantly, his personal attention.